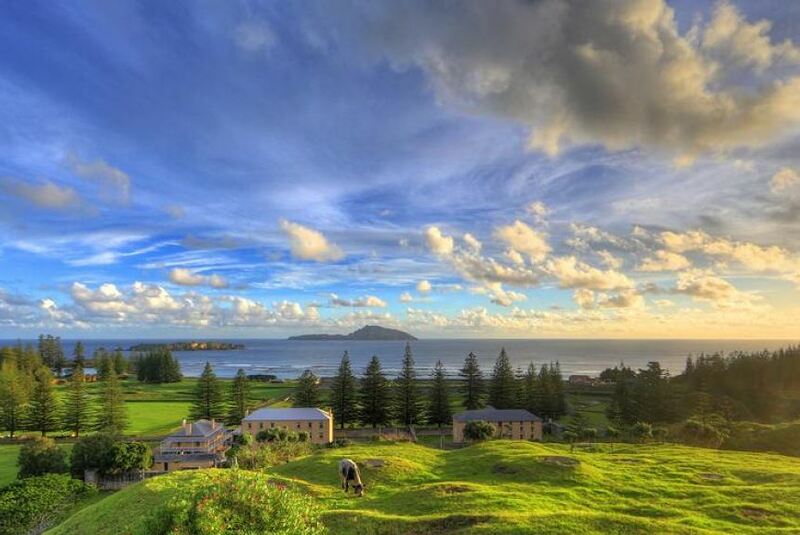 Islander Lodge offers unsurpassed views of the most picturesque scenery on Norfolk Island. Nestled against the landscape of sloping hills, this Norfolk Island accommodation property has full frontal ocean views, and a panoramic outlook of the entirety of Norfolk Island’s World Heritage Listed Kingston and Arthur’s Vale Historic Area. Islander Lodge is a comfortable and affordable accommodation option for your Norfolk Island holiday, offering five self-catering one-bedroom apartments, with open-plan living and dining areas and modern décor. All apartments have unsurpassed ocean views from the front deck looking out to Phillip and Nepean Islands, where you can watch the sun as it sets over the Island. An idyllic location offering you the opportunity to wander down from your apartments to the Kingston Pier, tag along on a museum tour or spend the day relaxing on the beach.